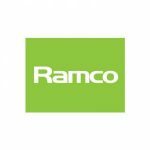 Ramco maximise the potential of your surplus or unwanted capital assets. We recycle, refurbish and reutilize food manufacturing and foodservice machinery. Our clients range from some of the UK’s major corporations, to various Government departments including the Ministry of Defence. We regularly work alongside other projects leads and contractors.